Park Geun-hye has won South Korea's presidential election, becoming the country's first ever female leader. 5 South Korean opposition Democratic United Party's presidential candidate Moon Jae-in, second from left, shakes hands with supporters after he cast his ballot in the presidential election in Seoul, December 19, 2012. 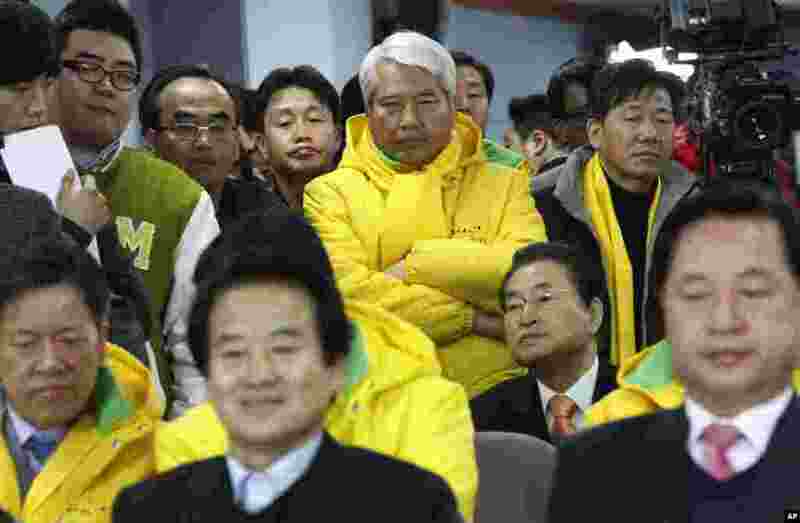 6 Members of opposition Democratic United Party watch TV news reporting exit polls on their presidential candidate Moon Jae-in in South Korea's presidential elections, Seoul, December 19, 2012. 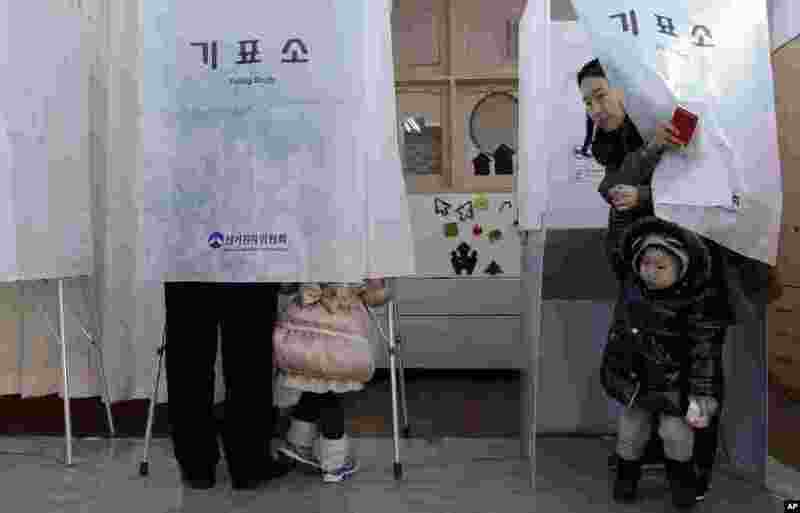 7 A South Korean woman with her son, tries to come out from a booth at a polling station in Seoul, December 19, 2012. 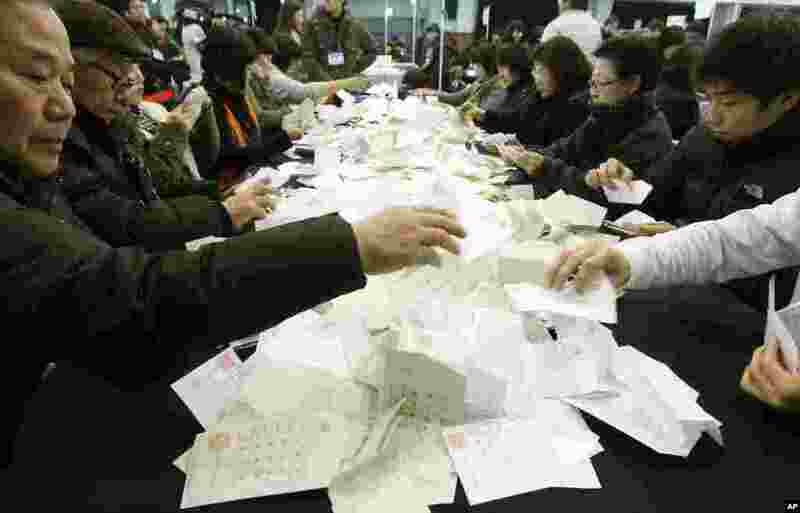 8 South Korean National Election Commission officials sort out ballots cast in the presidential election as they begin the counting process in Seoul, December 19, 2012.